Today, remodeling design requires a higher level of service to meet consumer needs. We are fortunate to have an excellent remodeling designer on our team. 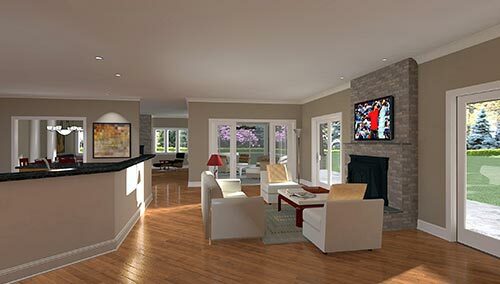 Our designer uses the latest computer programs and design approaches to our remodeling projects and as a result, we have been very successful with feedback from happy customers. While using the latest 3D modeling and design software, our designer brings the design element to the client. Star Builders Consultant visits your home to discuss your goals, budget, and possible options. Follow-up meeting with Consultant for preliminary budget presentation. When you choose to move forward, you’ll sign a Design/Planning Agreement. Star Builders develops a comprehensive design to meet your goals and budget. Review, collaborate, and finalize the design and plans. Star Builders Interior Designers help you select the perfect colors, materials and products. Star Builders refines details and researches logistic considerations. Review and approve final plans, specifications, and schematics. Contract signing. Star Builders construction team conducts an on-site Pre-Construction Meeting with you. Star Builders develops projected schedule. Print copy can also be provided. Star Builders determines dust protection strategies and production logistics. Star Builders completes home remodel with personal attention and efficiency.